Are you looking for an informative UkraineDate review? Are you going to use the review to decide whether it is worth signing up? Then you came to the right place! Continue reading below for you to find out if UkraineDate is worth signing up. Online dating has been around for decades to cater to people who don’t have the time to look for a date. People have been busy with their professional lives that finding a date is almost impossible nowadays. Fortunately, online dating sites are here to help you find a partner in the most convenient way possible. 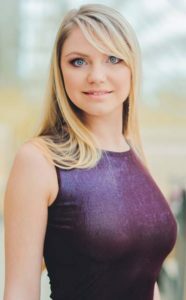 UkraineDate is one of the online dating sites that cater to Ukrainian men and foreign men who are looking for Ukrainian women that they can date. Let’s talk more about them below. UkraineDate is an online dating site, which is precisely for men who are looking for Ukrainian women. This online dating site is part of the Cupid Media, which is known to operate over 35 websites which are based on individual interests, religion, and ethnicity. UkraineDate is a great site where you can find a date even before you visit Ukraine itself. A lot of people are joining UkraineDate because of the many reliable options that a member can have. 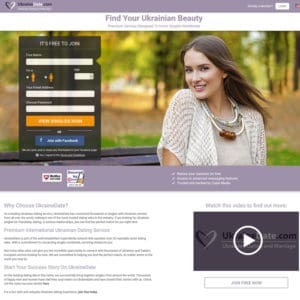 In fact, UkraineDate is one of the online dating sites today with the highest subscriptions. Their application page and the overall interface may be a little outdated, but the quality of Ukrainian women on the site will surely make up for the interface of the site. One of the best things about UkraineDate is that you can easily navigate the site. If you need to do some research, you may do so by filtering the women based on the preferences that you want. Also, you will have the ability to message them directly or initiate a conversation via chat. Of course, this will depend on the level of membership that you have. There are two kinds of paid membership on UkraineDate, which are the Platinum and the Gold membership. Platinum is known as the highest membership package, which will allow the member to send a direct message and chat to everyone. They can also rank other members if needed, plus there will be a VIP highlighting profile. Gold, on the other hand, will provide full access to sending and receiving messages. UkraineDate’s selling point to members when it comes to the paid membership is the ability to send chats and direct message. Getting and paying for membership will give you access to thousands of Ukrainian women who are looking for a local or foreign men that they can date. Just like in any other online dating websites, you will also come across with some fake profiles. Typically the primary purpose of these fake profiles is to extract money from men who are both locals and foreigners. If you spot one, you surely will know it, especially if the profiles are too good to be true. Also if the messages seem to be automated responses, then the best thing that you can do is to stop communicating with that profile. Some fake profiles are using photos of Ukrainian models to lure their victims. It is important not to get carried away with everything that they are saying because you might end up sending them money and gifts. In short, you might fall victim to these scammers. Start by signing up for UkraineDate a couple of weeks before you leave for Ukraine. After signing up, start sending out messages to women and ask them if they speak English. If she responds, then you can tell her about your trip and ask her if you can get her contact details so you two can meet up. Once she gives you her contact details, it would be best to send her a message. You can start communicating from there. Lastly, set up a date where the two of you can meet once you get to arrive in Ukraine. High Possibility Of Meeting — Women on UkraineDate are always willing to meet up with a man as soon as they can. The reason behind this is because they don’t have the time to play games. Unlike on any other online dating sites where women tend to disappear even before the meetup date. Western Men — Majority of the women on UkraineDate are looking for western men. So if you are foreign men or western men, then you won’t have a hard time looking for the right one. Willing To Travel — Whether you are in Kiev or any other parts of Ukraine, a Ukrainian woman will always be willing to travel just to be with you. They are okay with taking the train or the bus just to meet you. Of course, it will take a while before they agree to be with you, so communicate with them well. Lastly, it would be nice to offer to pay her transportation. Gorgeous Women — Joining UkraineDate means you can get to meet beautiful Ukrainian women. These women will always try their best to look as presentable and as good as possible just to please you. Lots Of Options — Of course, there are a lot of gorgeous Ukrainian women on UkraineDate that you can date. Typically, there are a lot of women online any time of the day. Costs Money — Just like in any other online dating sites, joining UkraineDate will cost you money. If you want to save or to ensure that this is the site that you wish to, it would be best to sign up for one single month. This will help you cut the costs down. But it sure is worth it to join UkraineDate. Running Out Of Women — There might be instances where you may run out of women. This is because this online dating site is quite popular when it comes to people who are looking for Ukrainian women. But if you are good enough, then you don’t have to worry about running out of women. If you are willing to pay for an online dating site and you are into Ukrainian women, then UkraineDate is the one for you. For people who are worried about running out of women, don’t be; as I have also prepared some tips for you to get that gorgeous Ukrainian woman in no time!